We’re going to be having a Post-Christmas/New Year’s sale & party at the store on this Saturday! December 27 — all day from 10am-7pm or when the cows come home. 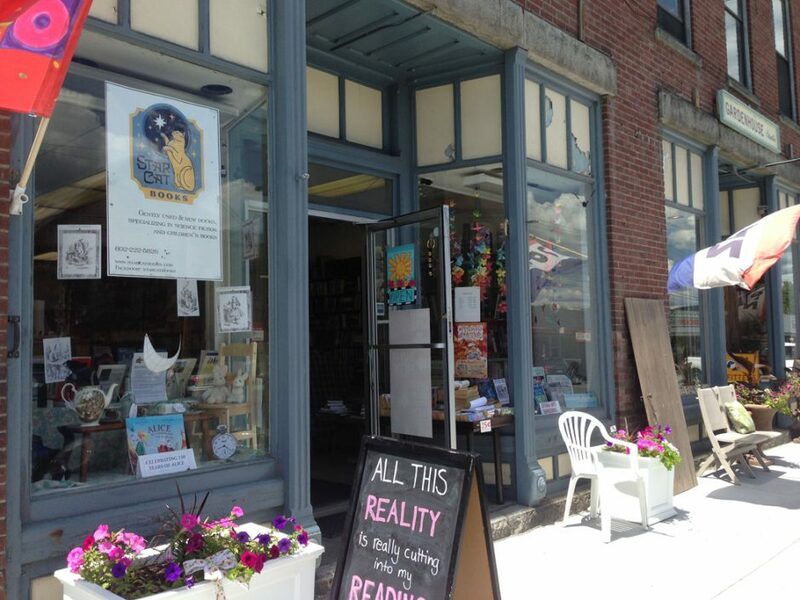 Everything on sale: 20% off all used, 15% off all new, with deep deep discounts on certain books from Bunker Hill Publishing, located right here in Piermont, NH. Join us for home baked goodies, hot drinks, good conversation, good music, and some very good books indeed. It’s not too late to get your calendar and of course stock up on Christmas cards for next year during the sale! This entry was posted in sales, Uncategorized and tagged sales, winter is made for books. Bookmark the permalink.